Dimgogo has been a premiere led grow light manufacturer since 2010. All Dimgogo lights will be tested for 48 hours before shipping, to make sure each light in its perfect condition. Dimgogo series products are exclusively selling by Dimgogo,others are knockoff. Do not use the lights in dripping water or anywhere where they will get wet, water and electricity can be a dangerous mixture. The working environment is -20~40℃,45%RH~90%RH. To protect the light, Pls cut off the power when there is a lightning strike. If you need more, please search “dimgogo led”. 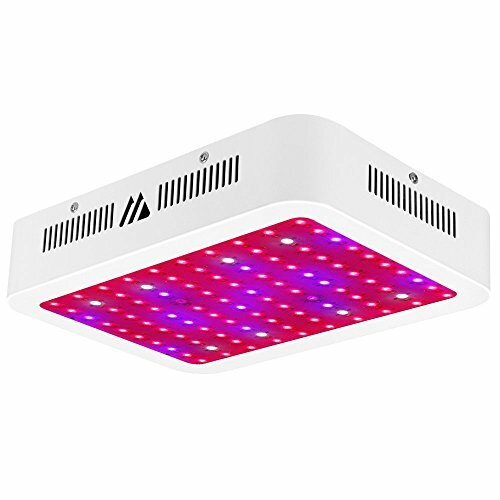 Professional Spectrum Provided: the led grow light include red,blue,white,IR and UV which is similar to the sunlight, ideal for all kinds of indoor plants veg and flower at all growth stages. Efficient Cooling System:Two cooling fans and heat sink in every led grow light fixture, keep the lights working longer. And every led has a resistance to keep them work separately. If you have any questions about this product by Dimgogo, contact us by completing and submitting the form below. If you are looking for a specif part number, please include it with your message.